Microsoft is working on a new browser for Windows 10, and if you have been following our leaks, you will remember our post from way back in September where we began talking about the new browserand its updated interface. Since then, I have posted about how we have heard that the Trident engine has been forked to allow for a new browser, which is being developed under the internal codename ‘Spartan’. This browser name has been spotted in a few leaks but its user interface has remained a mystery to the outside world, until now. I have been sent shots of the actual Spartan interface and unlike the fake one that showed up yesterday, these are authentic. Like we said a few months, back, the UI looks more like Chrome/Firefox than it does Internet Explorer and that’s not necessarily a bad thing. The images you see above are of the actual UI from Spartan. Yes, we know the images are small and blurry but you can clearly see the more modern interface that looks much better than the images that were leaked yesterday. In the spirit of showing you what the entire UI looks like when all the images are pieced together, we have created a mockup, below, that is taken directly from the real images of Spartan. In other words, this is a near 1:1 replication. Starting in the top left, we see the squared tabs that sit above the URL/Search bar. Each tab has an X icon that makes it easy to close the tab; standard stuff for nearly any browser. Below that, there are the standard forward and back buttons as well as refresh. On the right side of the browser is where things get a little bit more interesting as we have a favorite star at the end of the URL bar and next to that is a ‘reading mode’ for webpages. If you click that button, it strips out the text of an article and makes it easier to read the content on a page. Next to the reading mode is a folder icon and a share icon like we have in Windows 8 that makes it easy to share content to all of your favorite social networks or by email. And a bit further to the right of that are three dots that open up the settings for the browser. Spartan runs in a borderless window that allows your content to stretch from edge to edge. This means that there is nothing at the bottom of the window to see and all of the new UI elements are at the top of the browser. In use, the browser does feel snappy and without any detailed testing, it’s hard to say if it’s the fastest browser available but it does feel quick. Also, Cortana does not seem to be in Spartan yet, or at least this version which goes against previous rumors that said you could launch it from the header bar of the browser. 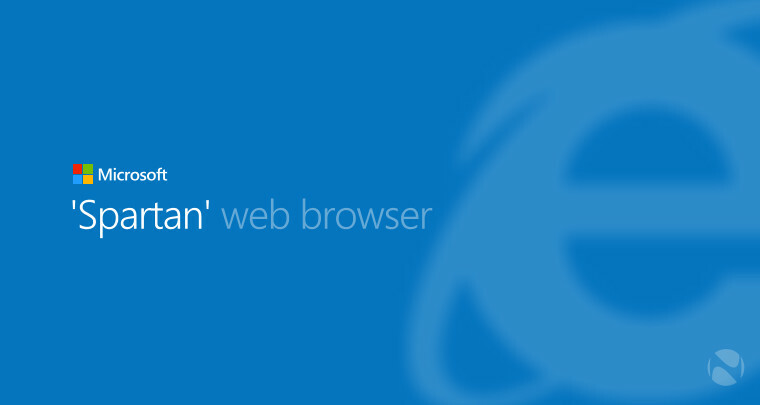 Still, this is an early look at the elusive Spartan browser and if I hear anything more about the browser, I’ll make sure to pass it along once we verify the information.